I read through my 2016 Summary and goals a few times and found it an odd experience. I was such a different person at a completely different place in life back then. 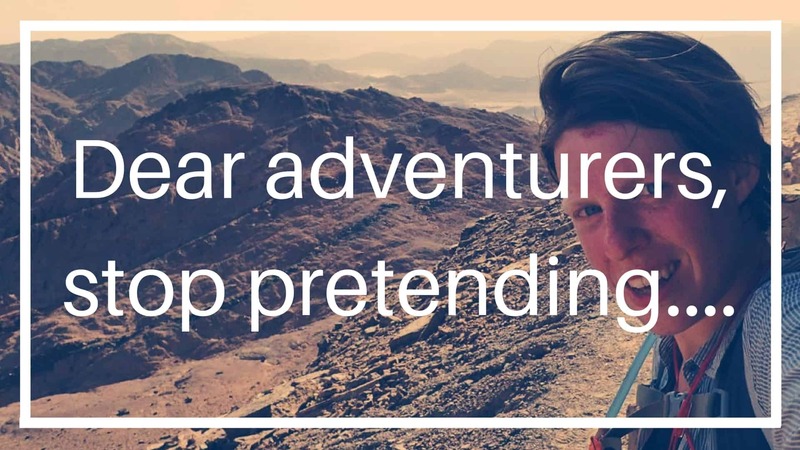 That was written by ‘Bex’ the trainee teacher from London who recently completed this mad hike in Israel (which was just intended as a sabbatical initially). Now I’m….what? ‘Bex’ the ‘Ordinary Adventurer’. A blogger, public speaker, founder of Love Her Wild – a 3,000 strong community – who adventures as a career. I’m not sure how that makes me feel! Part of me misses my old life. Mostly my friends and the simplicity. It’s the small things I crave like going to the coffee shop for a spontaneous catch-up or the cinema on a Friday night. Having snug nights in curled up on the sofa in my flat. But then I look at my life now and how much opportunity lays before me. It’s all a bit of a dream really and I feel content and honoured to be living it. It’s been a whirlwind and there are lots I need to learn – not least the art of balance. One thing I know for certain though, no matter what happens…my life won’t ever be the same again! 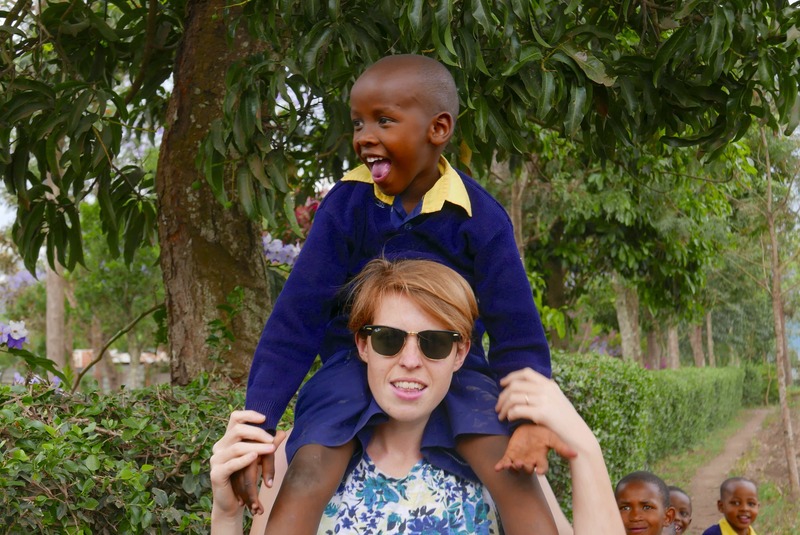 Tanzania – volunteering with Arise School who I fundraise for. UK – home with the family, just in time for Chrismukkah! This is a picture of me and a little boy named Jovi. Gil and I spent 6 weeks living with him and his mum while volunteering for a primary school that we fundraise for. It was so difficult leaving him and the others in the village that we grew so fond of. 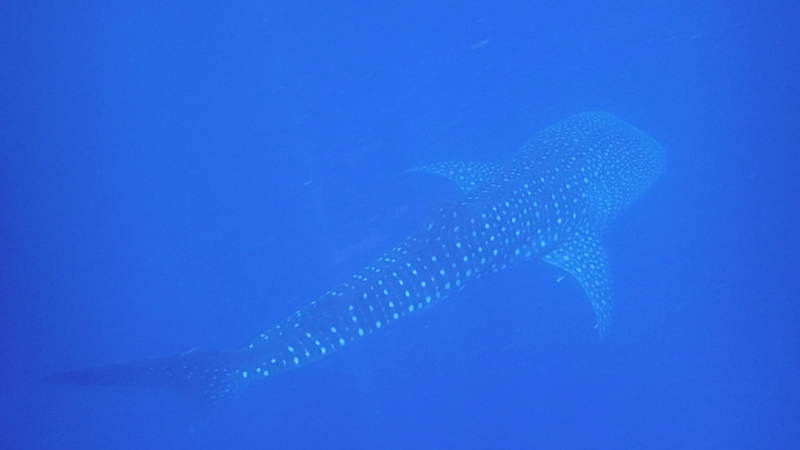 While in Tanzania I spent a week on Mafia Island where we swam with whale sharks for the first time. It was such a great experience that 10 months down the line, I found myself back on the island this time volunteering for the same local tour company. Who knew that 1 swim would turn in to 100! 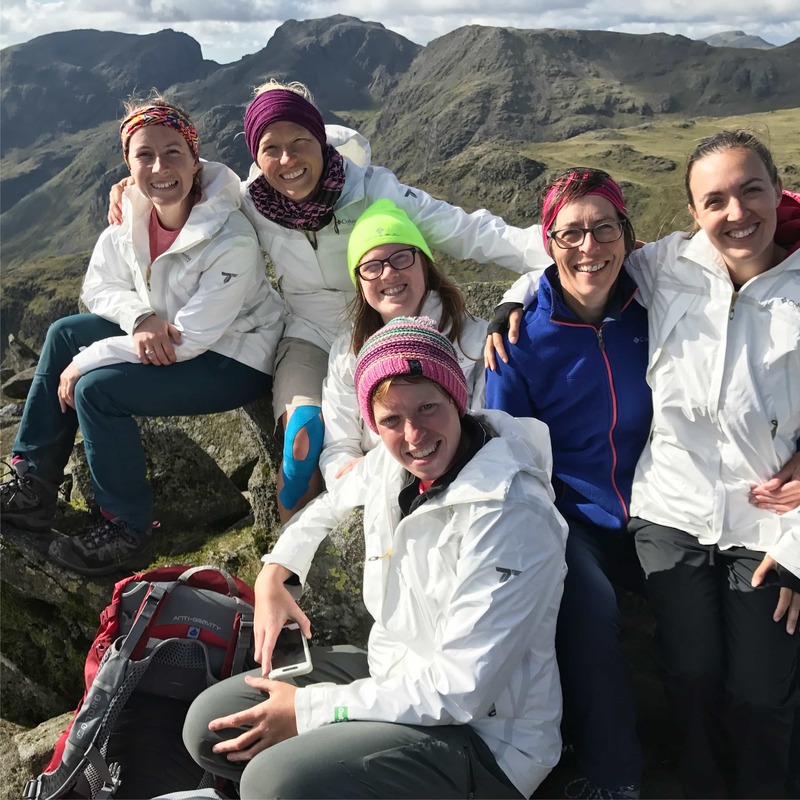 Driven to do an all-female expedition, I came up with the concept for the Everest Adventure – attempting to climb the height of Everest over 5 days in the Lake District – and put a blog out asking for women to apply to join me. I had over 100 women respond! This was a defining moment and what I consider the start of Love Her Wild and the community it has grown to today. 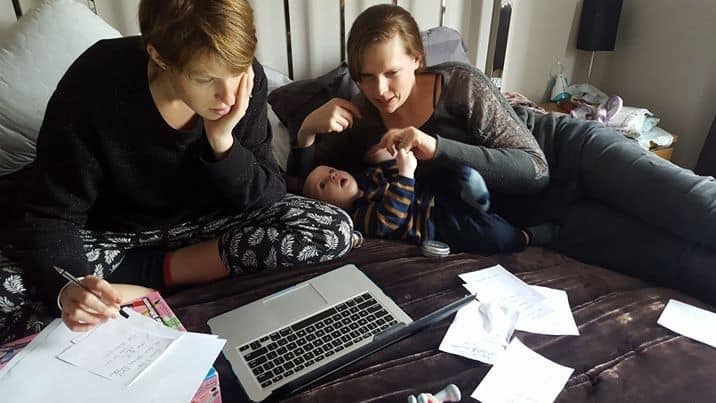 Here are me, my sister and my wonderful little nephew tackling the agonising task of selecting a small team out of so many worthy applicants. 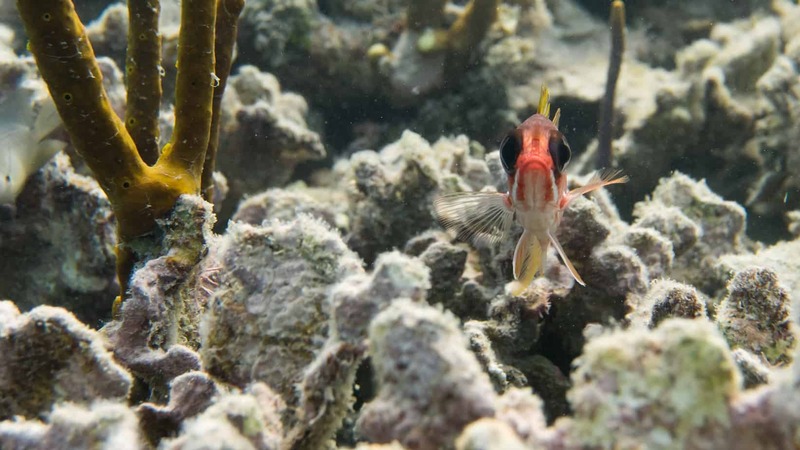 In March I headed off to a small island in Honduras called Utila to take part in a diving and marine conservation program called GoEco. It was brilliant and I loved every second! On the course, I advanced my diving skills, learnt all about marine life and corals and carried out conservation research. We couldn’t go to Central America and not visit Guatemala and Lake Atitlan – the place where Gil and I met 7 years ago! It was as beautiful as I remembered and we had a great time revisiting memory lane and celebrating our 2nd year wedding anniversary. Gil is showing Juan some old pictures taken 7 years ago when we stayed with him and his family. We couldn’t believe we were able to track him down! 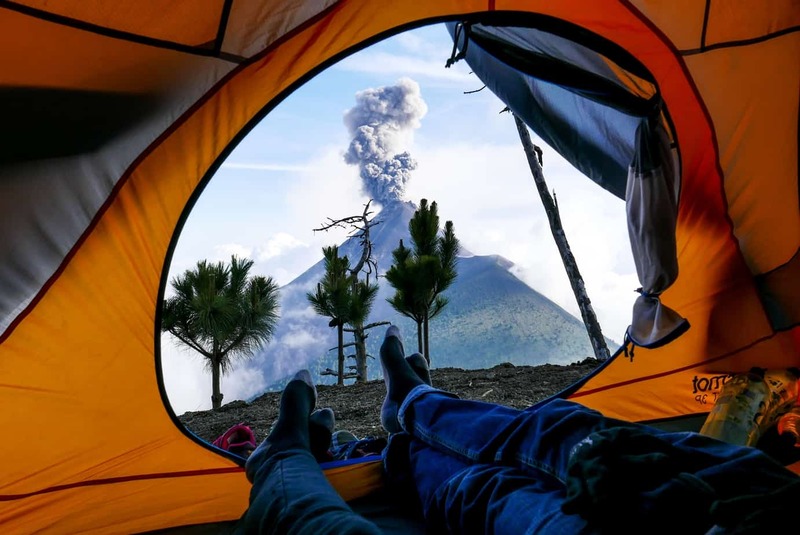 We’d heard rumours from other tourists that there was this amazing trek you could do on Acatenango in Guatemala. It was a tough hike but so worth it to see the erupting volcano and sunrise above the clouds from the summit. I got goosebumps each time the floor rumbled and lava exploded out of the neighbouring volcano. Although it’s not always possible and we have missed some really important occasions, Gil and I try to make it home when we can. We were lucky to be able to attend 2 weddings this year. 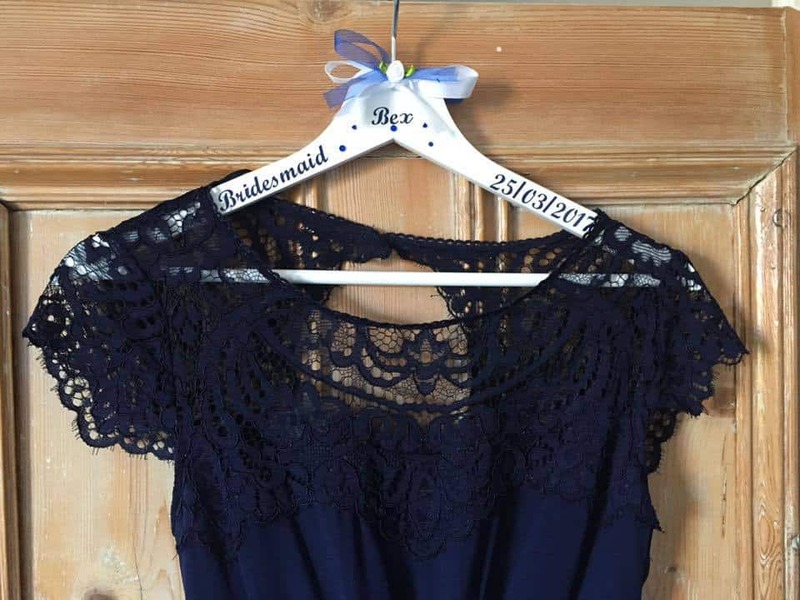 One, my best friend, who I was a bridesmaid for (sorry I was sick on your wedding day!) and also good friends of ours who had a beautiful wedding in Croatia. It was so nice to be around friends again. 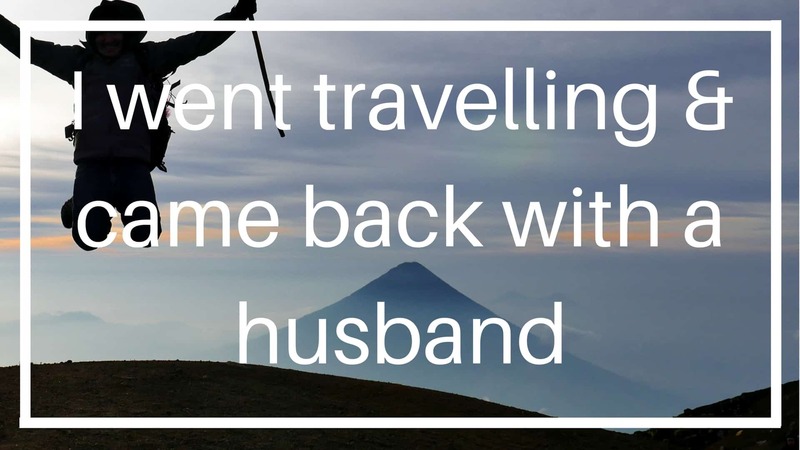 It was a reminder not to let relationships slip away in the business of adventuring and travelling. It wasn’t part of the plan but we ended up living with my sister while in the UK in between adventures. I haven’t spent that much time with her since we were at school! 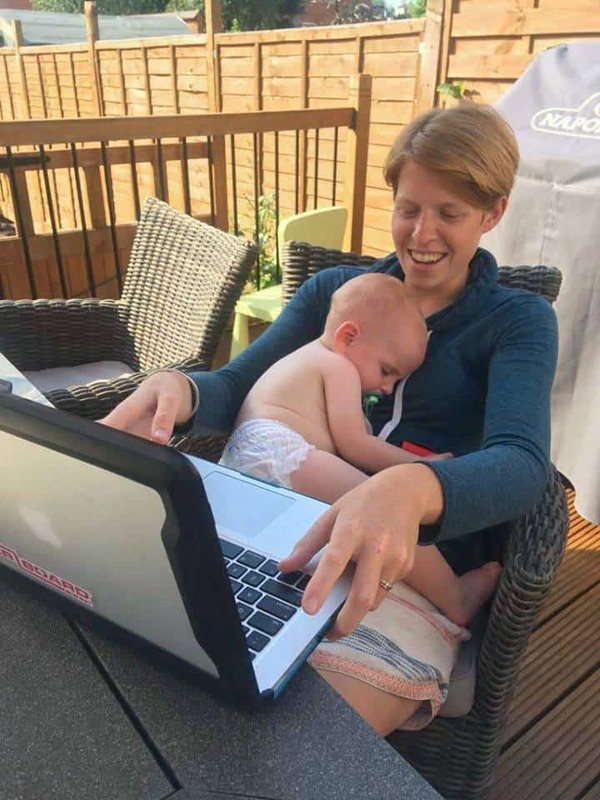 It was nice just to hang out (she was on maternity leave). With regular curry and film nights us and our boys. And also being able to spend so much quality time with my niece and nephew who mean the world to me. Auntie babysitting duties – I awarded myself a little treat after winning at bath and bedtime! It was lovely spending some time with my in-laws in Israel. 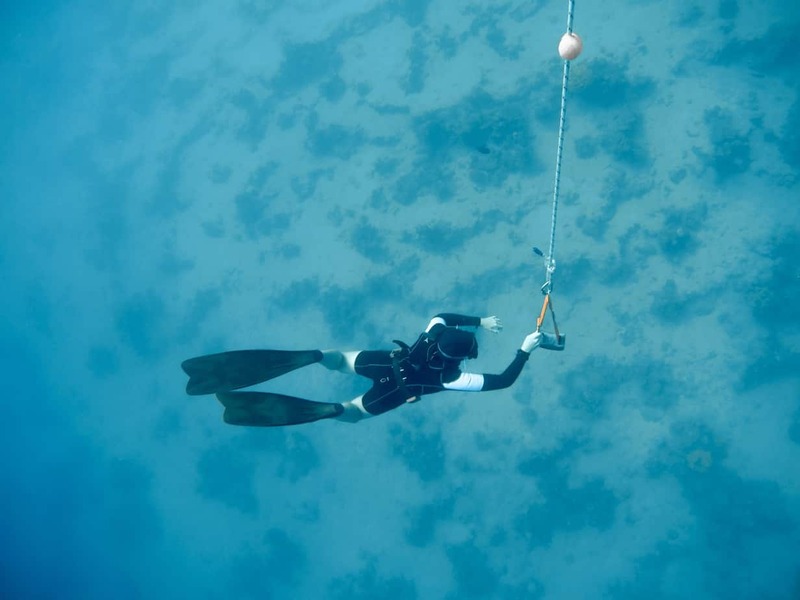 I also managed to fit in a freediving course with Alon Rivkind – Israeli’s record holder. I loved learning a new skill, especially in a sport that I really didn’t think I would be good at. By the end of the 2.5 day course, I reached 20metres on one breath. It was a great achievement. 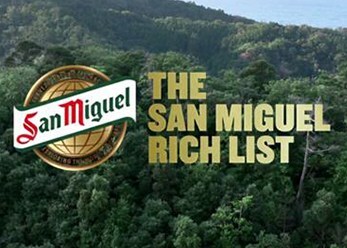 With all my recent conservation and nature efforts, I was feeling an urge to do something for the planet. 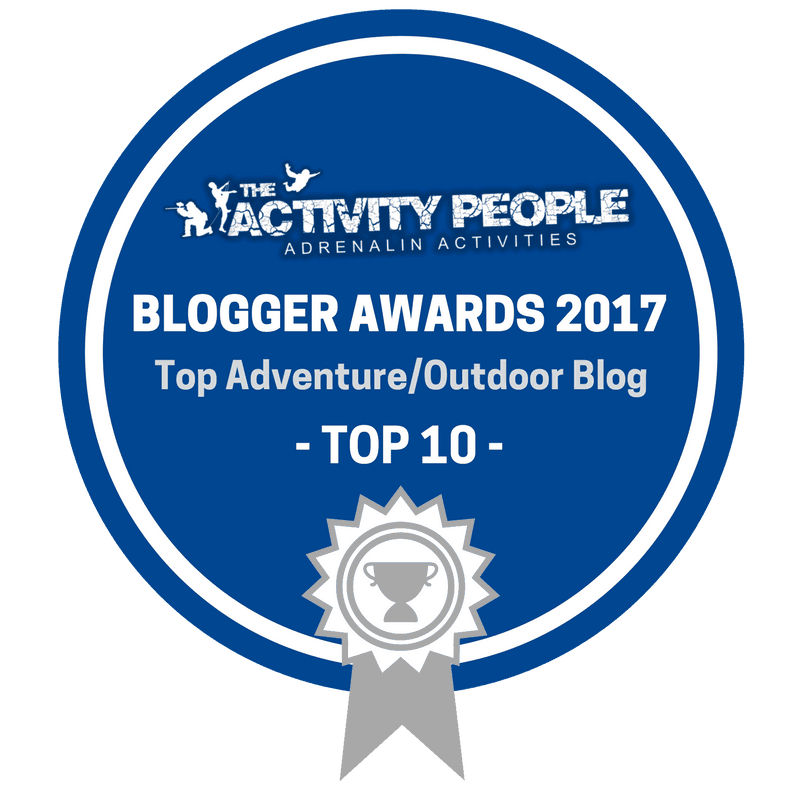 On a whim – and after only meeting for the first time on Facebook the day before – Erin Bastian (a fellow adventurer) and myself came up with the idea for Paddle Pickup. 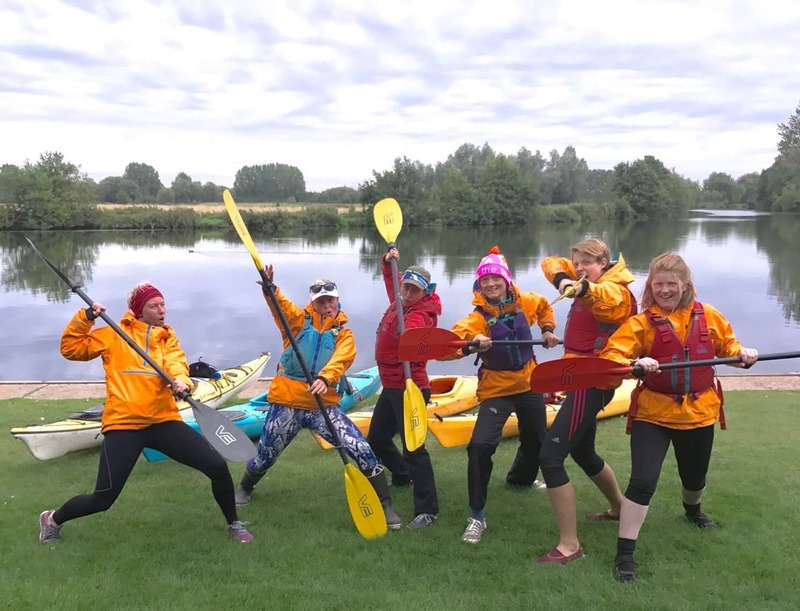 A team of women kayaking the full width of the UK from Bristol to London picking up plastic pollution along the way. 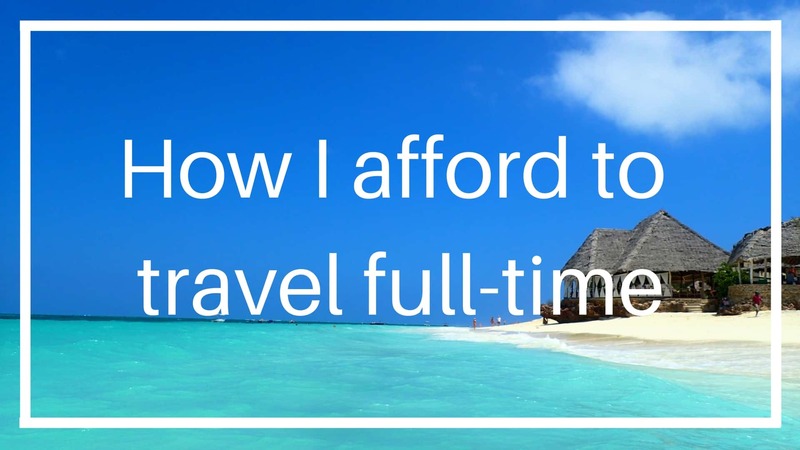 It was an incredible success for me in so many ways – selling out (we honestly thought no one would join us! ), kayaking over 300km when I’d never done it before and picking up over 3000 pieces of plastic from the water. Proud of that! So the Everest Adventure didn’t exactly go to plan in the sense that we completely failed the challenge. But who knew that winning meant something entirely different! On those tough Lake District mountains (don’t get me started on windy pass!) we forged friendships that will last a lifetime. I felt blessed to be able to witness first hand how much of an impact adventure can have on women’s lives. The challenge meant something to all of us in different ways but we all left windswept and grinning feeling slightly stronger, inspired and ready for bigger and better. At the start of the year, I hoped that I would somehow find a way to make this adventuring my life. And I did in the sense that I earnt the same amount that I spent this year. I’m still baffled by how it all happened and it all just kind of fell into place. Especially as most of my time has been put into Love Her Wild and projects that (although I’m very passionate about) don’t actually make any money. The opportunities that came my way were so exciting and I felt unbelievably humbled by the support I got when I set up a Patreon scheme. I don’t know if it is sustainable but for now, I don’t care! It has been great to spend a year, if nothing else, as an adventurer – doing things I love and (even better) sharing it with others. So thank you for following and reading and making this all possible for me!! 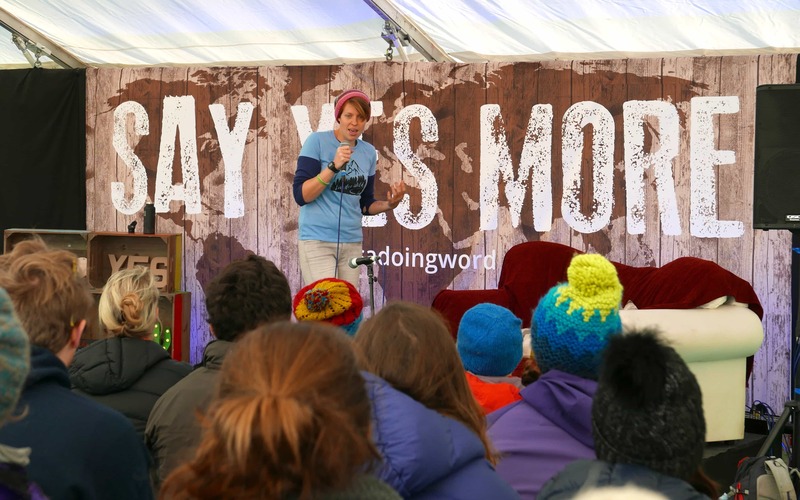 My last speaking engagement this year was at Yestival to a crowd in a cold muddy tent somewhere in Sussex. It’s important for me to also talk about the things that didn’t go to plan. I know my social media feed can sometimes be full of images that make you wish you were living my life but it isn’t all perfect, there’s good parts and bad parts. Like everything! There are things about your life that would make me jealous too. Our first couple of weeks in Tanzania did not go well. Our flight was delayed so we missed our connection to Mafia Island. We had to fork out for an expensive flight the next day and, as if that wasn’t bad enough, the airline also lost our bags (thanks, Ethiopian Airlines). It took 9 days to get the bag back (not ideal when you are stuck on an island that literally has nothing!). It was an expensive and uncomfortable start to our travels and I would have given anything to be back home enjoying the post-festive leftovers with loved ones. Most of this year was spent abroad but I had also made plans to visit the UK for a chunk of the summer for expeditions and some talks. We had a place to keep our stuff and stay for this period for ‘mates rates rent’ (we couldn’t afford to stay in the UK otherwise) but that fell through very suddenly and frustratingly. Thankfully my wonderful sister and brother-in-law cleared their loft so we could kip there (it’s much nicer than it sounds). It caused me a lot of stress though and I hated not having what felt like at least a semi-base. I give everything to Love Her Wild because I believe in the community. And it’s been going well, although it is not always easy. Over summer the workload got too much and all my personal ambitions, adventures and blog got put on hold. I have to deal with criticisms, plagiarism and tough competition. In October, and in the space of a week, I had to very suddenly re-do the entire website and my thriving Instagram account got deleted (…..it’s a long story!). It can sometimes feel like a constant battle and I feel very vulnerable doing it all on my own. With no financial backing, team, big following, experience or network. I don’t know why but all my life I have struggled to train for anything. Exercising is always an uncomfortable torturous thing with little improvement and I’m convinced that maybe some people – like me!!! – are just not born to be athletic no matter how hard I try. I’m sorry my Arctic Norway team if you are reading this by I feel like I have failed massively at training for this expedition. Granted it has not been easy the last 2 months in Tanzania training in such hot conditions (and on such a bad diet) but it just started to feel like an impossible task when my body was so sore and my energy and motivation levels so low. I’ve always been my own worse enemy. I’m incredibly tough on myself and have fairly low self-esteem. Which is exhausting. I know I’m doing well but on the inside, I’m permanently fighting imposter syndrome. Because, really, I’m just a daft girl from Basingstoke who’s clumsy, oversensitive and (as we’ve established) unfit. Will I ever feel like I belong in the world of adventure? Probably not! But I hope I can learn to be a bit kinder to myself about the fact I’m never going to be quite like ‘them’. And now….it’s time to look forward to the next year and all the things I hope it will present me and it is looking like it will be an EPIC year. 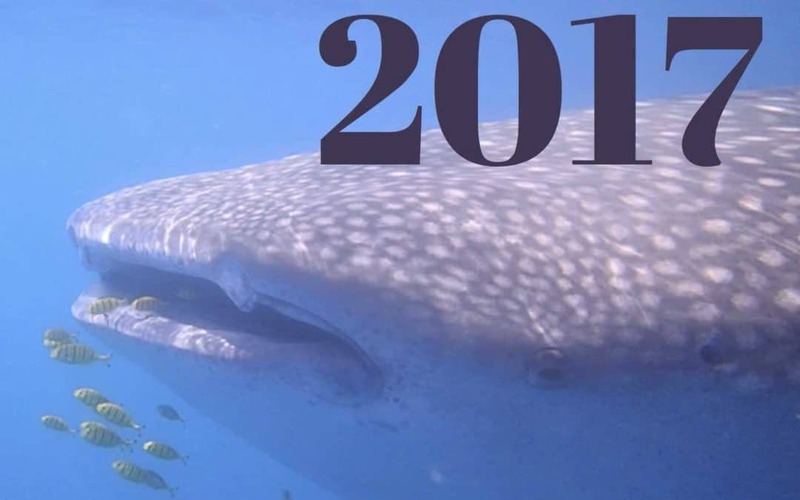 Check out my New Year travel plans, adventures and goals. Be there with me as I head out on my epic 2018 adventures. Follow me on Instagram, Twitter and Facebook. I’ve only just discovered your blog but I think everything you’re doing is fantastic. It takes a lot of bottle to do what you’re doing, and your honesty is so refreshing. 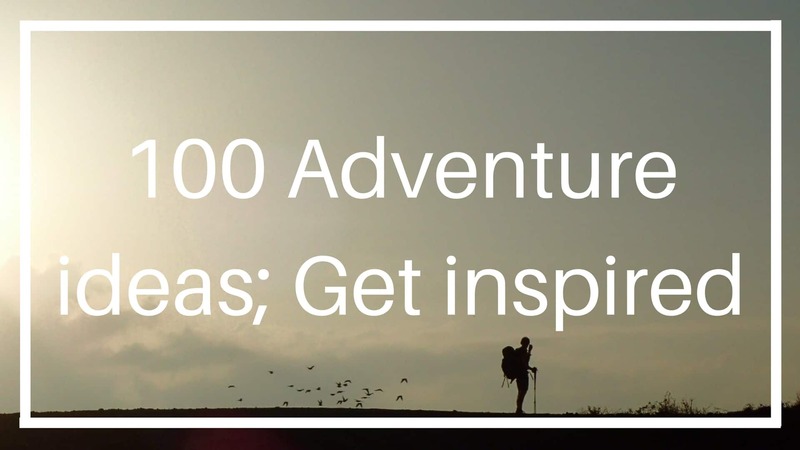 Loving reading about your adventures – the highs and the lows. Keep on living the dream! PS – I am definitely not built for exercise either! Thanks for sharing the highs and lows honestly. Happy end of a great year! Sounds like a fantastic year. We all suffer from a bit of self doubt but just F*cking tell it to bugger off. I saw in your newsletter you did year compass – I was just about to suggest that to get your mind in the right place. 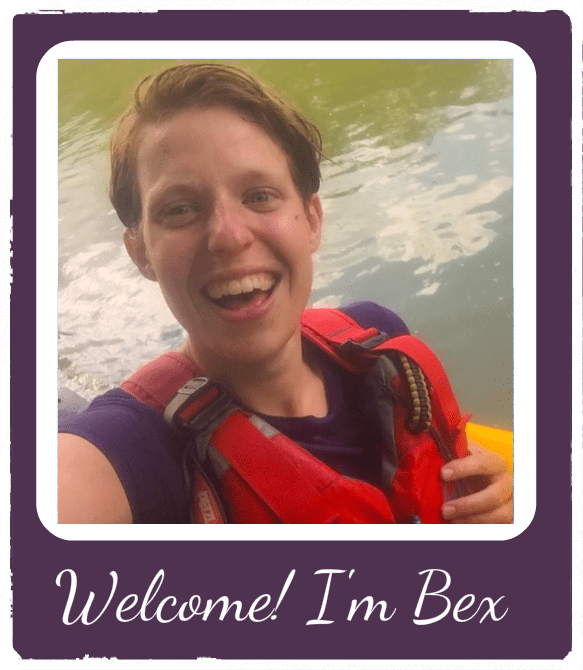 Bex I think your website is great, what you are doing is great – and as long as you keep following your gut there is no such thing as imposter syndrome!